The great Warren Buffett once said that “Risk comes from not knowing what you are doing” - and without the right information, you can't make a sound investing. 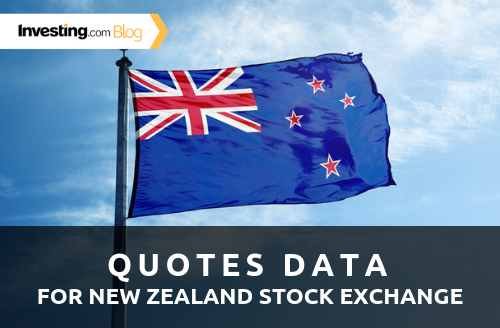 After bringing you real-time data for the Nordic exchanges, we’re pleased to announce that we’ve also added quotes data from the New Zealand stock exchange, so you can be in-the-know. New Zealand is the home of GoPro (GPRO) - makers of the popular extreme video cameras, and is a major financial hub in the East. Despite being one of the farthest exchanges in the world, it lists over 300 companies with a combined market capitalization of NZD $164.5 billion (USD $107.1 billion). Another step in making Investing.com the #1 site and 1-stop-shop for all your investing data needs.